[129 Pages Report] Water-based Resins Market was valued at USD 36.55 Billion in 2017 and is projected to reach USD 52.65 Billion by 2023, at a CAGR of 6.3% between 2018 and 2023. In this report, 2017 has been considered the base year and the forecast period has been considered from 2018 to 2023. 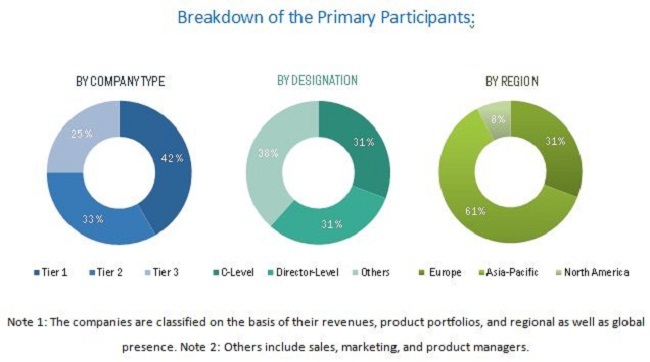 Major players operating in the water-based resins market are BASF (Germany), DowDuPont (US), Allnex Group (Germany), The Lubrizol Corporation (US), Royal DSM N.V. (Netherlands), Hexion (US), Arkema (France), DIC Corporation (Japan), and Covestro AG (Germany). These key players have adopted various organic and inorganic strategies to maintain their shares in the water-based resins market. This report categorizes the water-based resins market on the basis of type, application, and region. The water-based resins market is estimated at USD 38.86 Billion in 2018 and is projected to reach USD 52.65 Billion by 2023, at a CAGR of 6.3% from 2018 to 2023. Water-based resins are used in various applications such as paints & coatings, adhesives & sealants, and inks. Based on type, the water-based resins market has been classified into acrylic, epoxy, alkyd, polyurethane, and others. The acrylic resins segment is projected to grow at the highest CAGR during the forecast period. The demand for water-based acrylic resins is high as they offer better chemical and physical resistance ensuring a longer lifespan of the material they are applied to. Water-based acrylic resins are expected to completely replace solvent-based acrylic resins soon in the paints & coatings application due to environmental regulations regarding the VOC emissions. Based on end-use industry, the water-based resins market has been classified into paints & coatings, adhesives & sealants, inks, and others. The demand for water-based resins in paints & coatings application is high, due to the rising environmental regulations to reduce the use of solvent-based technology. The APAC region is expected to be the largest market for water-based resins across the globe. The APAC water-based resins market is projected to grow at the highest CAGR between 2018 and 2023. The growth of the market in the region can be attributed to the increasing demand for water-based resins from the building & construction industry. High cost and comparatively lower performance of water-based resins act as restraints to the water-based resins market. Capital cost and fixed cost associated with changing the technology from solvent-based to water-based is high. Hence, many small-scale manufacturers in emerging regions continue with the use of solvent-based resins. 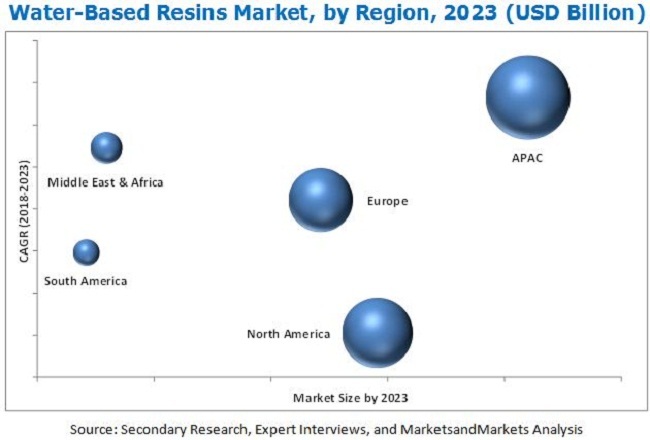 Some of the key players operating in the water-based resins market are BASF SE (Germany), DowDuPont (US), Allnex Group (Germany), The Lubrizol Corporation (US), Royal DSM N.V. (Netherlands), Hexion (US), Arkema (France), DIC Corporation (Japan), and Covestro AG (Germany). Competition among these players is high, and they are adopting strategies, such as new product developments, expansions, agreements, and mergers & acquisitions. 11.11.8 KUKdo Chemical (Kunshan) Co., Ltd.
11.11.15 Scott Bader Company Ltd.